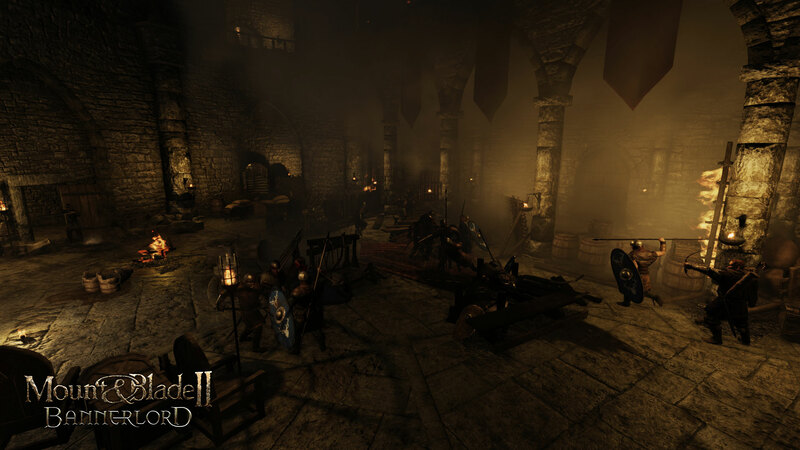 Mount and Blade 2: Bannerlord is set to overhaul many elements of the original game's fantastic medieval sandbox, but one of the most brutal, meat-grinding elements could see the most enhancement: sieges. These battles will be very different from the open field battles of the main game, introducing siege weapons, destructible defences, troop deployments, and ultimately, if the walls are breached, keep defence. In the original mount and blade, there were siege weapons of a sort — ladders and siege towers — and there were always bloody battles at the exterior curtain of the castle, but that tended to be it. The limited troop controls and layouts of the castles and towns mean that soldiers tended to cluster at the top of ladders and a bloody battle would take place. If that battle was won by the attackers though, it was usually just a matter of mopping up a few stray archers to win the day. That won't be the case in Bannerlord. Some footage from a 2016 siege battle example. If a defender is pushed back from the main defences, they'll have the opportunity to retreat back to a second line of defences, culminating — if the castle has been upgraded enough — in a last stand at the main keep. There defenders will find basic barricades and additional defensive positions they can take advantage of. As a new dev diary from developer Taleworlds tells us, though, the game will change to a much more personal one. Instead of the masses of troops found on the frontlines, keeps will use a respawn system and allow for much more nuanced, man to man combat, allowing player and troop skill dictate the outcome more than troop numbers and armor.